Should online preaching take the place of going to a local community Church physically? With the growing capabilities of technology and live-streaming service in today’s Church, this question has come up lately with increasing frequency. It’s no secret that it is often easier to view sermons and Church sermon via the screen of your phone, the comfort of your living room, or the speed of your laptop. But does this ease of access come with the same benefits of attending Church in person? Online sermons have been a blessing to someone bedridden or the shut in, but to the most part the bedridden shut in percentage is low indeed. Please allow me to present the case of why attending Church Physically is so important and then decide for yourself. Easier access does not always indicate a better solution. There is much more to be lost in electronic Church attendance than there is to be gained. To support this claim, let’s look at a mission statement for the Church straight from the pages of Acts. One of these devotions taken upon by the Church can be achieved through online attendance, but two of them cannot. The apostle’s or pastor’s teaching can be transmitted through online platforms nearly the same way that it can be transmitted in person. 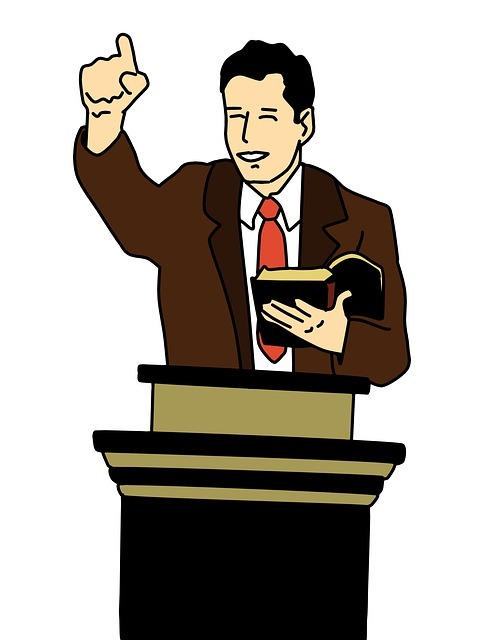 The pastor delivers a message and people listen to it, take notes, circle scriptures, and take the messages to heart. While the ability to interact with the Pastor and ask questions is diminished if done only online. Some claim that the principal and execution of the sermon remain relatively unchanged online without taking into account the spirit and atmosphere within the physical setting. What many people fail to understand is there are needful teachings & sermons that are not usually aired online for the fear it would be taken out of context or misunderstood. However, there are folks that are apart of an audience where it is clear everything is being done for the benefit of those that are not willing or can’t come to Church in person. Not everyone feels comfortable being open in worship while being live streamed. On the other side of the coin there are those that really ham it up in order to give a good show with the viewers in mind. It needs to be pointed out though, some things would be misunderstood unless delivered in the proper setting. For this reason many pastors keep the real meat for those that show up locally for midweek service and give the cotton candy and spiritual Slim Jims to the online viewers. Christian Show business is dumbed down for the broader viewers by and large. Still others seem to resemble Clowns for Christ in order to wow the viewers. (When I say, “Clowns for Christ”, I’m not referring to Children’s ministry which has made a positive impact on many children). Prayerfully consider being connected to a full Gospel Bible believing Spirit filled Apostolic Pentecostal Church near you instead of being a Christian show business junky. Being connected to a local Church body verses online only is like comparing a 16 once steak at a local steak house to a Slim Jim meat stick from the gas station. One takes longer to get, cost more, and requires a higher level of commitment. Speaking of commitment is that the real issue? Group prayer can prove more difficult when Church is attended solely online instead of in person. There is a lack of personal connection, and many members may not even know what face to put to the name. This doesn’t diminish the power of their prayer, but it can prove more difficult for them in knowing what to pray. How can you thoroughly pray for someone if you don’t have even a general idea of who they are and what they are going through. When an individual attends Church physically each Sunday, they are allowing themselves to get to know others and to get to be known. People recognize them, they learn their personalities, and they begin to be able to tell when something is weighing on the individual. This sparks conversation, and when it comes to prayer, those praying are better equipped to deal with the situation. When attempting to submit a prayer request online, it may be difficult to get the need or situation across to the other parties. It may be difficult to let the individual seeking prayer know that they are being prayed for and just how they are being prayed for at that. There is a divide created by the lack of relationship between an online viewer and a Church member. When I received the Holy Spirit it was in a Church setting where other Holy Spirit Filled believers where physically present and were praying with me and for me at the time the Holy Ghost filled me. To this day I am grateful to the believers that cared enough to come to a gathering physically and pray with me. The Spirit filled believers didn’t know there would be a young person at a crossroads in the service that needed their prayers ahead of time; they simply showed up physically and God used them. There was a powerful presence of the Lord that gripped my heart that day that no video recording could capture. The another challenge facing individuals that might seek online participation instead of personal attendance is the lack of fellowship. Think of the disciples and their individual relationships with Jesus and with each other. While many of them started as strangers and mere acquaintances, they performed great outreach and work because of their unity in fellowship. Once Jesus rose again and rose to Heaven, the fellowship that He fostered between the disciples allowed them to move into the world and work together for the singular cause of pointing others to salvation through Jesus Christ. When a modern day individual chooses to watch sermons from the comfort of their home instead of in the presence of a Church body, they are forsaking the principal of fellowship. Again, the scriptures highlight the folly of forsaking the body as a whole. If one part of the body refuses to join in purpose and fellowship with the other part of the body, then it loses purpose itself. God calls each of His followers to serve with a distinct purpose as a member of His body. This applies within the individual bodies of different Churches, and to the kingdom as a whole. If someone chooses to learn, but not to grow in fellowship and support other believers, then they act as a stumbling block for the body as a whole. Sermons are where the knowledge and wisdom of the Lord is learned, but relationships are where that knowledge and wisdom is put into practice. When you foster relationships with fellow believers, you are allowing them to speak into your life and they are allowing you to speak into theirs. So, when either of you face struggles, challenges, or obstacles along your journey as church believers together you both can impart further spiritual wisdom and hold each other accountable for it. The relationships between believers are what keeps the body moving in a positive direction. By encouraging each other, the body keeps moving forwards. By listening to each other, the body can heal any wounds between its members or between itself and the world. By working together in the name of Jesus Christ, His message and His salvation are spread further than any one individual could spread them alone. So, there is importance to attending Church in person. There is a duty to your fellow believers and to yourself to foster the relationships and strengthen the body. Without the fellowship between believers, the body grows weak, and His message can be hindered instead of helped. Prayerfully consider being apart of a local full Gospel Apostolic Holy Spirit filled Pentecostal Church San Antonio TX. We at Pentecostal Life Church would like to invite you to be apart of our Church Family. Pentecostal Life Church meets in a suburb of San Antonio Texas, called Schertz. Schertz is claimed by three Texas counties. They are Bexar County Texas, Comal County Texas, Guadalupe County Texas. The town/ suburb of Schertz, TX borders New Braunfels Texas, Cibolo Texas, Garden Ridge Texas, Universal City Texas, Selma Texas, Converse Texas, and San Antonio Texas. People from Live Oak Texas have been coming to Pentecostal Life Church as well. Pentecostal Life Church is a United Pentecostal Church serving San Antonio and surrounding areas. We at Pentecostal Life Church understand we are not the only Spirit Filled Church serving the Greater San Antonio Texas area. If you are already connected to a Bible believing Pentecostal Church in San Antonio Texas stay where you are and be a blessing to the local Church body where Jesus has planted you. If you are not connected to a local Full Gospel Holy Spirit Filled Apostolic Pentecostal Church San Antonio Texas area come join Pentecostal Life Church. Pentecostal Life Church meets at 1201 Oak Street, Schertz, Texas, 78154. Service times Sunday 10:30 am & Thursday 7 pm.